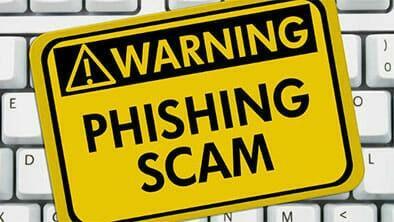 Summary: Phishing scams are becoming increasingly common. It’s essential to know the signs, and how to recover from falling victim. Otherwise, a phishing attack could cause you serious problems. We recommend using an ID theft protection service for the highest level of security against phishing threats. 2017 saw a record rate of growth in phishing sites, with a staggering 1.385 million popping up every month. So just what is phishing? Here is a good phishing definition: an act of fraud that tricks targets into sharing their sensitive data, such as bank information and personal details. The practice involves setting up fake sites that imitate trusted brands or sending similar phishing emails to target victims directly. In 2009, the US government arrested 100 criminals who had raked over $1.5M from US accounts using phishing tactics. When security firm, RSA, fell victim to a similar attack, it became clear that even the experts aren’t immune to phishing scams. As most phishing sites replicate popular brands, such as Google (35%), Dropbox (13%) and Paypal (10%), knowing how to stay safe is essential. Although phishing is everywhere, there is plenty you can do to reduce your risk of falling victim. Unlike direct breaches, phishing requires you to fall for the trap before you’re in danger. Phishing emails and sites always have flaws. Look for spelling and formatting mistakes, carefully check the logo and read the content thoroughly. If anything seems slightly off, it probably is. Casual browsing is an enemy to security. If you only click with purpose, then you’ll minimize the risk of finding yourself on a phishing site. When conducting business online, extreme caution is essential. Don’t stray from trusted sources, and separate your work and leisure devices to reduce risk. Email scams, better know as spear phishing, can expertly mimic trusted content. Check the Email address to authenticate – this also applies to URLs. If you receive a suspicious email from a well-known site like Amazon or Paypal, use their official contact details to confirm validity. By following these simple rules, you significantly reduce your chance of falling victim. However, as cybercriminals are always expanding their methods, it’s impossible to guarantee safety. Apply the following tactics to recover from a phishing attack. Phishing scams can be incredibly destructive. Your best chance to minimize the damage is to stay calm and act fast. We all regularly repeat log-in information on different accounts, so any breach can cause wide-ranging problems. Change all your passwords quickly to lock thieves out before they can get in! Immediately contacting all banks and financial institutions will increase your chances of regaining any monetary losses from the phishing site. Some phishing scams download malware onto your computer to farm information. Run an antivirus check-up to flag any threats. Invest in an ID theft protection service to monitor your accounts and prevent a repeat attack. ID theft protection services are an invaluable investment, as fraud and cybercrime continue to rise. By monitoring your accounts and personal details, they can detect a phishing attack as soon as it happens. These industry leaders will provide you with instant alerts should you access a phishing site by mistake. This well-reviewed service offers thorough monitoring of accounts and web-wide surveillance to ensure timely alerts. Usually $19.99 a month, advanced users can opt for a premium package for $24.99. You can trial both services for 30 days with money-back guaranteed. Read our full Identity Guard review here. Identity Force is first-choice for parents. Their service covers the whole family and keeps your kids safe online. Identity Force is a pricier option. Their basic plan is just $17.95 a month, but to access their credit features, it’s $23.95. They do offer a 14-day free trial but only for their standard service. For more information read our Identity Force review. For the financially conscious, this credit-bureau-backed ID theft service provides security from phishing while protecting your FICO score. CreditLock to keep block unauthorized requests. Alongside their $19.99 monthly plan, the company also provides a budget option for just $9.99 – which promises Experian-backed credit monitoring. If you don’t want to invest, the 30-day free trial with money-back guarantee is the perfect compromise. Cleaning up ID theft isn’t easy, especially after a phishing scandal. The best thing to do is set up precautions so it can’t happen, like using an identity theft protection service. < Previous WhatsApp Has Been Hacked & Downloaded by 1 Million+ Users – Were You One of Them? Next > Is Your Workplace Cyber Secure?